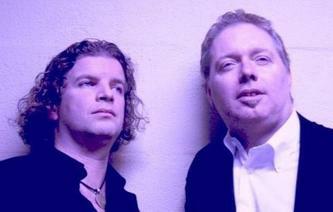 Kramer is a progressive Rock band from Amsterdam. If you haven't hear about it don't worry, me nether before I started to work with Rob (apart from been musician, he is also identity management consultant). You can check out band's website at http://www.kramer-music.nl/. Yesterday we went to Brodie's bar to hear Rob and Mark play acoustic set. They were excellent! They are going to play two more gigs in UK, one in Plymouth and one in Cambridge. If you have a chance, worth your time(and money if you want to buy a CD).